It may not be the usual Babyology fare but Curious Pages is simply so much good fun that we had to share. 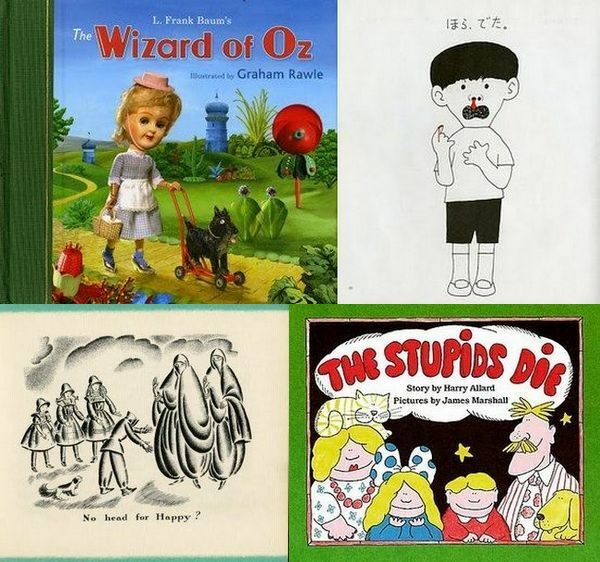 Browse the shelves at children’s book blog Curious Pages and you will find oodles of highly recommended inappropriate books for children. Yes, inappropriate books. The creators of the site seek books that celebrate the abstract, the unusual, the surreal, the macabre, the inappropriate, the subversive and the funky. Each recommendation includes a little about why the book is worthy of the Curious Pages list – for example, ‘What child doesn’t enjoy a good anti-war parable?’ (The Bomb and the General by Umberto Eco and Eugenio Carmi). And also includes useful extracts – “…And what about the general? Now that there were no more wars, he was fired. And to make use of his uniform with all the braid, he became a hotel doorman.”. Enjoy musings about a post-modern Snoopy, an excellent translation of The Story of Nostrils, a positively creepy interpretation of The Wizard of Oz and three volumes of the earliest work of Dr Seuss titled Boners, More Boners and Still More Boners. With books such as The Stupids Die, The Dead Bird and A Head for Happy in the recommended reading list, you can’t go wrong! I wasn’t surprised that I either own or have fantastic memories of quite a few of the books on the Curious Pages recommended reading list. 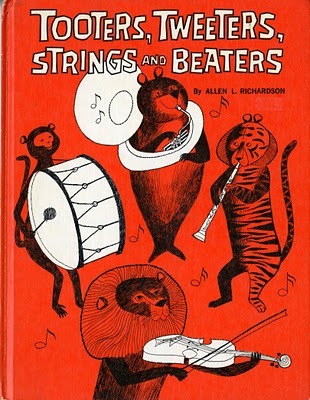 To that end, I have to give a special mention to Tooters, Tweeters, Strings and Beaters by Allen L. Richardson. Published in 1964 this book is jam-packed with poems about all sorts of musical instruments from the sousaphone to the recorder – “Becky says that these very old flutes, Are really made to order, Their music is gay and fun to play, And it’s easy to blow a recorder.” The book concludes with an extensive rhyming quiz on what you’ve learnt. If it’s beatings, dead animals, big sticks, decapitations, explosives or guts you’re after for the bedtime story you are sure to find something appropriate at Curious Pages.